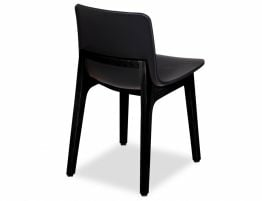 The Ara Dining Chair in black with a natural solid Ash frame is a modern look with a smoothly molded shell shaped seat for comfort. 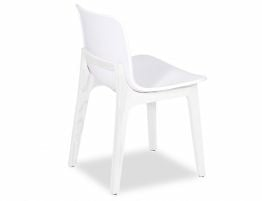 Supreme durability with the poly plastic composite material and sturdy long lasting durability with the solid timber frame. 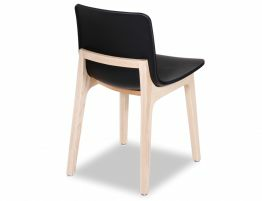 The soft neutral tones of the Ash timber frame and legs softens the over all design with the striking composition and contrast of a hard wearing black poly seat. 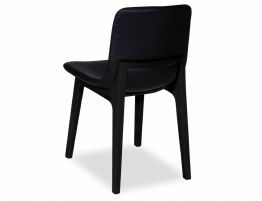 The Ara Dining Chair proves practical and easy to clean which is a bonus for a well utilized space. 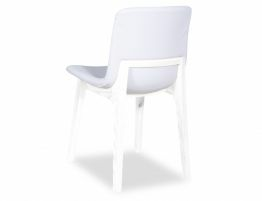 Finishing with an easy on the eye design, makes this chair a must have in any designated food area.